Manipulate the futuristic cities around you to take down enemy hordes. 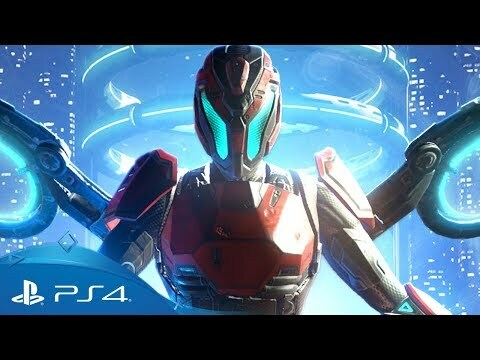 Transport yourself to the vertical cities of a distant future and fight for control of a mysterious “smart matter” that is overrunning your world – and giving rise to hordes of matter infected enemies. Harness your aerial agility with extreme leaps and slides as you blast through relentless waves of foes. 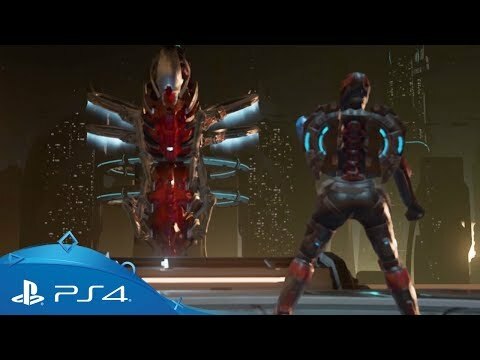 Use an arsenal of matter infused weapons to take down your enemies and manipulate the smart matter that surrounds you to use every environment to your advantage in epic locations including the Fortuna City, Hydroponics and Matter Mines. 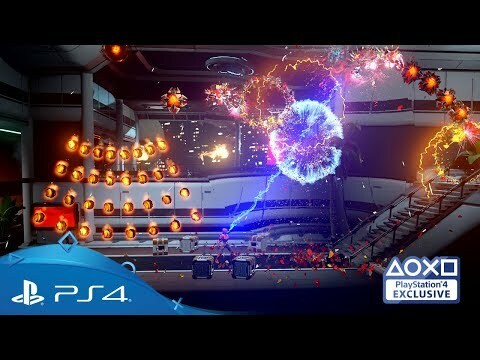 MATTERFALL comes exclusively to PS4 from Housemarque, creators of RESOGUN, Super Stardust: Delta and Dead Nation. 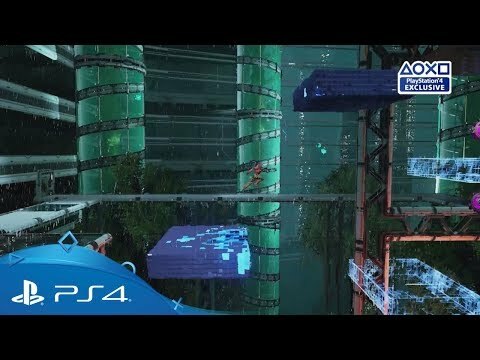 • Survive a unique combination of platforming and bullet hell action in a vertical city overrun by mysterious Matter. • Master aerial agility, sliding, leaping, Zero G flying and blasting. • Fight enemies infected by deadly Red Matter and manipulate Blue Matter to turn the environment to your advantage. • Perfect your performance in levels to rack up a higher score than your friends on the online leader boards. Take the fight to save the Earth to astonishing new levels. With enhanced visuals, you’ll see Matter flowing, glowing and exploding around you in staggering fidelity.